A four-point Inspection is often required when obtaining a new homeowners insurance policy or renewing an existing policy. Four Point Inspections are inspections covering the roof, plumbing, electrical, & HVAC systems of the home for insurance purposes. Many insurance companies require a 4 point inspection report on homes over 30 years of age before writing a policy. The focus of the inspection is to determine the approximate age, components, and general condition of these systems. Insurance companies will typically require that the inspections be performed by suitably licensed and qualified persons. All of our 4-point inspections are performed by qualified inspectors licensed and certified in the state of Florida. 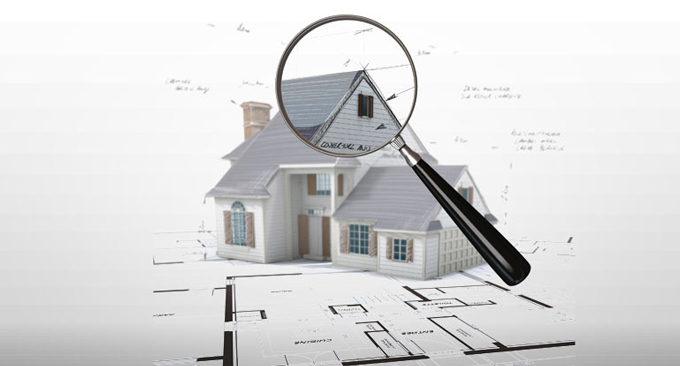 Therefore, we are able to provide an accurate inspection and offer advice in order for you to better your home. Of course, there are many insurance companies and inspection requirements can vary and change at any time. You should consult with your insurance provider concerning any specific requirements. A wind mitigation inspection is an inspection of the home covering areas of a structure that help protect it from strong hurricane force winds. If a home has these protective features in place correctly, it can qualify for wind credits with any insurance company in Florida. We examine the year the home was built, if the home was built on 9/1/1994 or after the home qualifies for the 1994 or 2001 South Florida Building Code credit. We determine the year the roof was built, a roof built on or after 9/1/1994 also qualifies for a windstorm credit. Next we will access the attic for hurricane features in the construction. We will inspect the roof decking type, the size of the nails used to fasten your deck, and the nailing pattern of your roof deck, all of which qualifies for discounts on your policy. We will examine the roof to wall attachments and determine whether double wraps, single wraps, clips, or toe nails were used. The following step would be to determine what geometric shape your roof has, a hip roof may qualify for a discount on your insurance premium. Finally, we will check every single exterior opening on your home and determine what type of opening protection credit you deserve. A Wind Mitigation Inspection is the most effective inspection type in lowering your insurance policy and we thrive for integrity in order to deliver an accurate inspection.